Let’s not mention those extra caramel rolls you polished off or the gravy-soaked biscuits you snuck under the table. That was so back then. You’re in the here and now, resolved to clean up your eating habits. And you don’t want to forget your dog or cat in this new endeavor. So where do you start? One way is start eating “clean.” It’s not necessarily a weight-loss diet or a trendy diet that avoids entire food groups like carbohydrates or fats. It’s a balanced approach to eating that favors foods in their natural, “whole” state, rather than after a lot of processing. It’s also about being mindful of how your food was raised or grown. Crunching into a raw apple, for example, is considered “cleaner” than spooning up applesauce, which has been altered by cooking as well as additional sugars and spices. 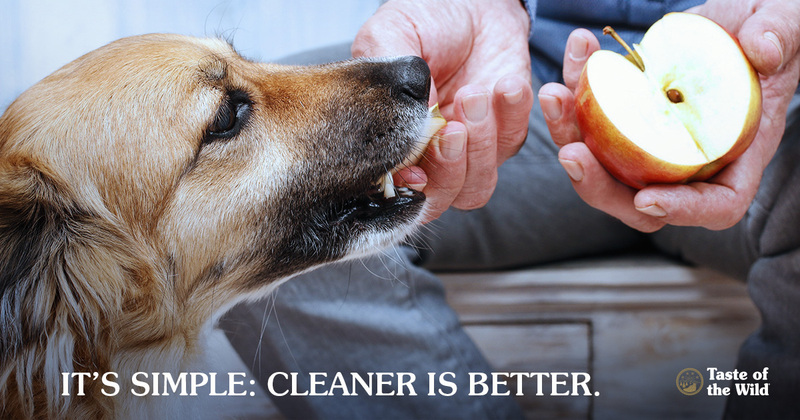 But how do you help your pet eat cleaner? It might be a little more challenging than changing your own diet, but here are some do’s and don’ts with your pet in mind. DON’T feed raw animal proteins. This should go without saying, but some of the more extreme clean-eating diets for people include raw foods, and it might be easy for some people who see their cats and dogs hunting down their own “raw” foods in the backyard, to assume that raw meats are “clean” foods and suitable for pets’ consumption. It’s not true, though! Raw diets may not be nutritionally balanced and can put you and your pet at risk for parasites and serious bacterial infections. That’s why many organizations, including the Centers for Disease Control and Prevention (CDC), the Food and Drug Administration Center for Veterinary Medicine (FDA-CVM) and the American Veterinary Medicine Association discourage feeding pets raw animal proteins. DO incorporate fruits and vegetables as treats. No matter how tasty and nutritious their food, pets enjoy a treat every now and then. The cleanest way to treat is to go with fresh vegetables and fruits. Typically low in calories, fruits and vegetables — in moderation — can be great additions to your pet’s diet. You want to avoid potentially toxic substances such as grapes, raisins, apple seeds and onions. And steam the harder vegetables to make it easier for cats and puppies to chew and swallow. DON’T feed a strictly vegetarian diet. When eating clean, some humans move to a more vegetarian diet. This will not work for pets, however. Meats are still an important source of protein for pets. Cats especially are obligate carnivores, meaning they must eat meat to live. Meats provide them with essential nutrients such as taurine, which their bodies cannot make on their own. DO choose foods with fewer ingredients. A truly “clean” diet often involves making your own food from ingredients that you source yourself. But many people want their pets to eat simpler and cleaner without that level of commitment. This is why a carefully selected limited-ingredient pet food is still the best way to make sure your pet is eating a nutritionally complete and balanced meal. Choosing a food with four ingredients or less, is a simple and cost-effective way to help your pet eat cleaner. 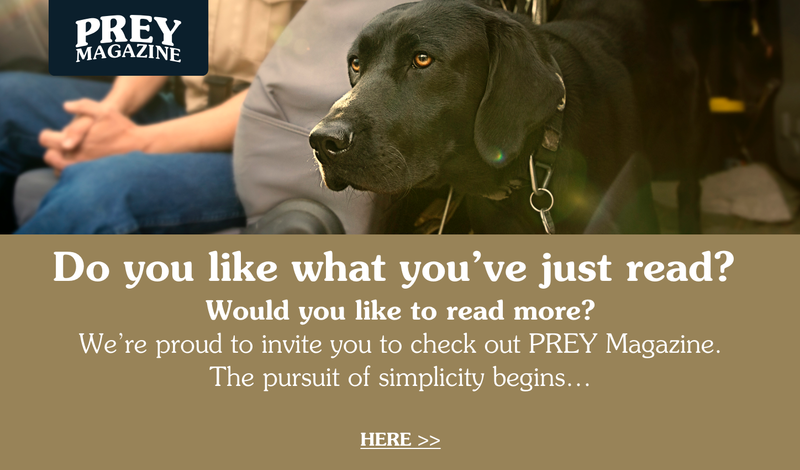 While it’s always nice to add variety to a pet’s clean diet using the guidelines we’ve discussed, a food like Taste of the Wild PREY is the only clean-eating diet a dog or cat needs in the new year. Here’s to cleaner eating and a healthier lifestyle for you and your pets in the year ahead.